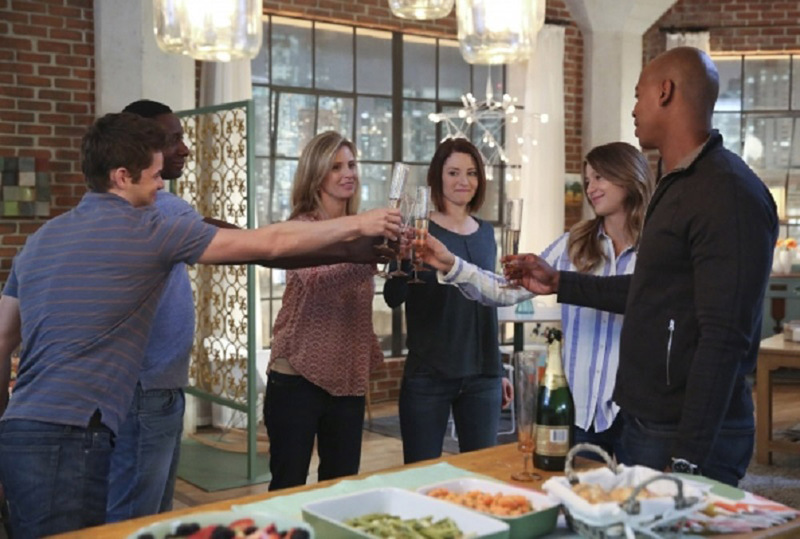 Amid the campaigns promising cliffhangers and drama, the last two episodes of Supergirl seemed to sneak into the CBS finale line-up quietly and without the hype that surrounded its other shows. For me, the finale was easily forgettable and disappointing. In fact, the most memorable aspect of the episode was how disappointing and unsatisfying it was. I wanted a dramatic feast that left me on the edge of my seat, but, instead, I got the wrong entrée…and it was cold! The 19th episode, “Myriad,” was the perfect build up for the finale. Not only did Non have the entire DEO under his mind control with the Myriad Project, but he held the minds of EVERYONE in National City under his thumb! He used his power to have Lucy Lane release all of the alien prisoners that Supergirl and the DEO caught during the season, except for the White Martian. With Alex and J’onn on the lamb and all of her friends under the control of Non, Supergirl has nowhere to turn to help her battle Non and Indigo. The rest of the country is not affected by Myriad or Non, yet, but in an effort to protect the country and the world, General Lane has quarantined National City in a move that vaguely reminded me of The Dome, a once promising show that did not manage to keep my interest. With his daughter, Lucy, affected, however, General Lane did extend his luck and blessing to Supergirl. With nowhere else to turn and in an effort to assess the damage, Supergirl travels to CatCo to check on her closest friends and mentor, unfortunately, she discovers that everyone there is under Myriad’s control, except for a dubious Cat Grant who strolls in, barking orders as if it were just another day. This scene plays out like a scene in a stage play, the type that only has one or two sets and has to dream up an excuse for all of the key players to appear in the same setting. In the case, Superman, who was off-world, texts Supergirl to let her know he is on his way to help, but Cat and Supergirl see him plummet to the pavement. Apparently, Myriad is so strong and powerful that not even Superman can fight it, but I do not understand how Supergirl escapes its reach if Superman cannot. I also do not understand why Superman cannot fly while under its control. I would imagine he would fly and land like normal but as an emotionless, thoughtless drone. I was also eager to finally have a scene between Supergirl and Superman, but it was a clumsy tease that lacked the wit and charm of the Vera Peterson/Maris Crane ghosts of television past. Enter Maxwell Lord at the key moment, who also has managed to evade Myriad’s power. He reveals that, when he discovered that Indigo and Non were using his satellites and technology to spread Myriad across the city, he created a special type of headset for himself that blocked Myriad from controlling his brain. He also made a special pair of earrings for Cat to block Myriad from her brain. With limited time, Lord could not build enough headsets for everyone, but it seems unlikely he would only produce two. What about his advisors and assistants or emergency personnel? What if something happened to damage Lord’s and Grant’s headsets? The worst part of this scene could have been the most powerful, but it fell short. 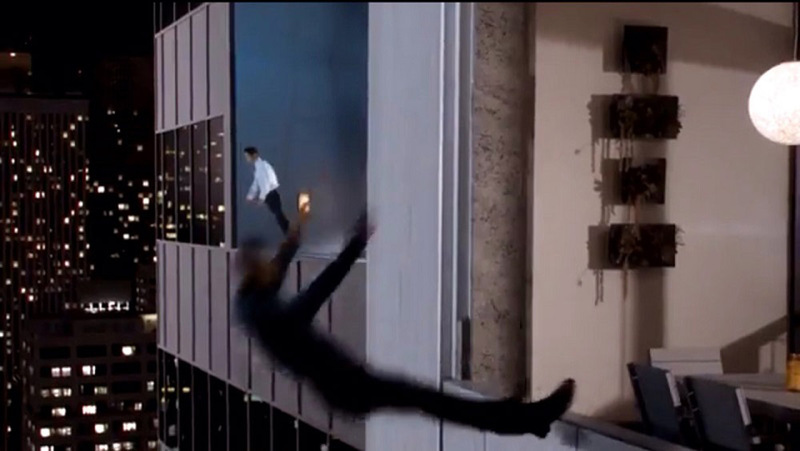 To demonstrate Myriad’s power and to hurt Supergirl, Non forces Winn, James, and another CatCo employee, Kelly, to peacefully jump from CatCo’s roof. Not even Supergirl can move quickly enough to catch all three (which I seriously doubt), and she hastily chooses to let Kelly fall to her death. Of course Supergirl was not going to allow her best friends to die. Poor Kelly’s fate was sealed from the beginning. She may as well have been outfitted in a red shirt. Of course, after hours of traveling to her mother’s home with J’onn, when Alex discovers that Supergirl and National City are in trouble, she wants to return to help her sister. Even though Supergirl and J’onn urge Alex to stay behind, she does not listen and, subsequently, falls right into Indigo and Non’s hands. J’onn and Alex are no match for the villains, and, having believed they killed J’onn, they take Alex back to their lair where the place her under Myriad’s mind control and outfit her with a uniform covered in Kryptonite. We know from previous episodes that just so happened to feature glimpses of Supergirl training with Alex that the Maid of Might can barely outfight her. Her amazing strength is countered by Alex’s training and skill. Add some Kryptonite, and Supergirl is in major trouble. The episode had a lot of plot holes, which happens and could be forgiven. Had “Myriad” been the finale, we would have ended on a perfectly good cliffhanger that would leave us teeter-tottering until the second season or “Myriad” would have been a nice part of a finale that lasted 60 minutes. A special extended episode to finish the season would have been a nice touch too. Instead, the writers spent 43 minutes building up the tension of whether or not Supergirl would save the day or if Lord would use a special Kryptonite bomb to destroy the Kryptonians (both good and bad), but cures the people of National City and saves them from all of the dangerous situations the Kryptonians have caused. 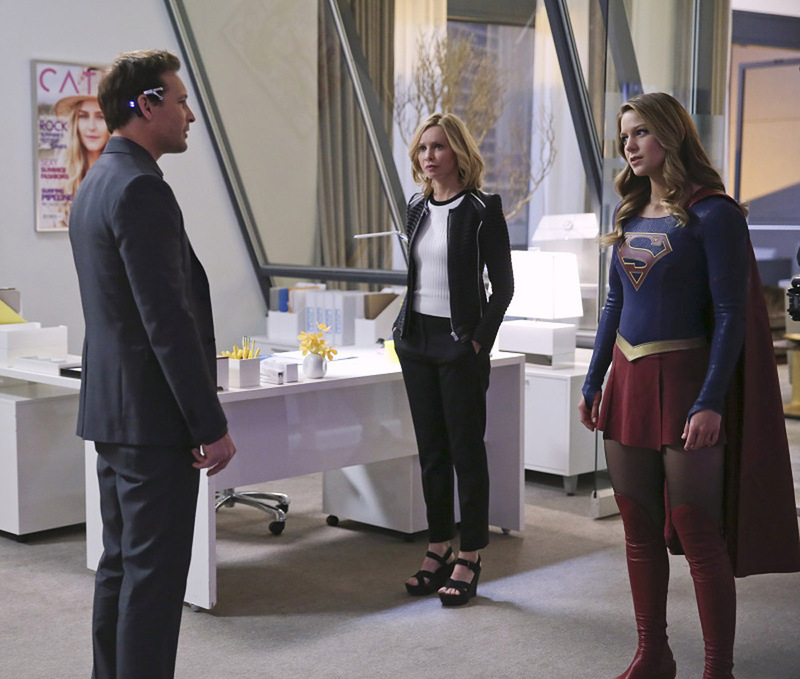 “Better Angels” the actual season finale opens with Alex and Supergirl fighting, but do not fret, their mother appears and manages to talk some sense into Alex. She appeals to her saying that Alex is strong and still in there “somewhere.” Her mother’s appeal manages to snap Alex out of it…and this is the beginning of the end. Basically, Supergirl appeals to Lord and convinces him to not use a weapon of destruction to save the city. 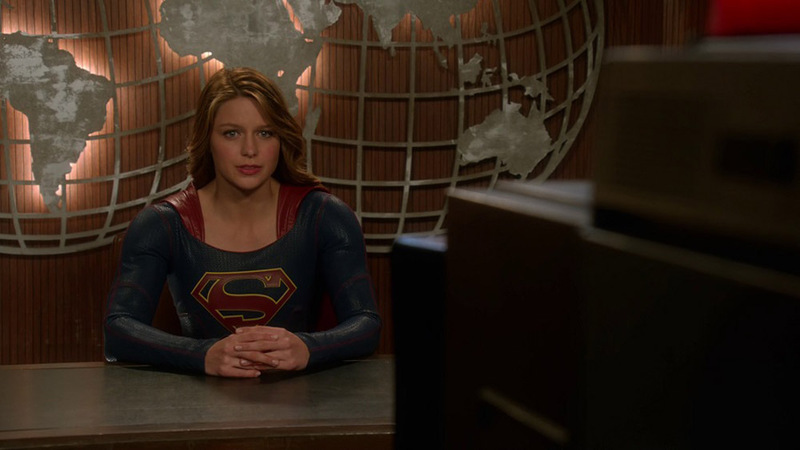 Instead, Lord and Grant use an older news station that CatCo owns to broadcast Supergirl and her message of hope. Of course, Supergirl’s seemingly impromptu emotional plea snaps everyone out of the trance. She is able to save people not just with her strength, but with her heart and words. Perhaps Gotham has made me too cynical, but I just do not buy it. The climax was underwhelming and just lacked the adventure and excited I longed for. However, I will still tune in to the season 2 premiere (hopefully there will be a second season) to eagerly await to see who appeared on Earth in a pod just like Kara’s at the end of this episode! We did not get to see it, but Kara saw the passenger and seemed to be surprised by who was in the pod, which means it must be someone Kara knows or at least a version of someone Kara knows. Personally, I am hoping for Superboy or some other version of Superman. We need a male character in this show that is not a possible love interest for Kara. We need a wild card that mixes up the dynamic.